We are sorry to hear of the passing of longtime client, Brad Halsey. Our thoughts & prayers are with his family during this difficult time. Brad Halsey, a former major league pitcher who also played for the Trenton Thunder and Long Island Ducks, died Friday in a recreational climbing accident, according to a USA Today report. No details about Halsey’s death have been officially made public – the news was initially shared by his former agent. 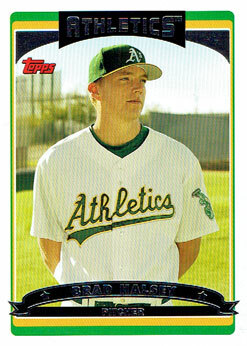 Halsey, 33, began his career in the New York Yankees organization and played for the Trenton Thunder in 2003 as a prospect. He later returned to the team at the end of his professional career in 2011 after a stint in indy baseball that included a season with the Atlantic League’s Long Island Ducks in 2009. One of Halsey’s claims to fame was being traded for Randy Johnson in 2005. 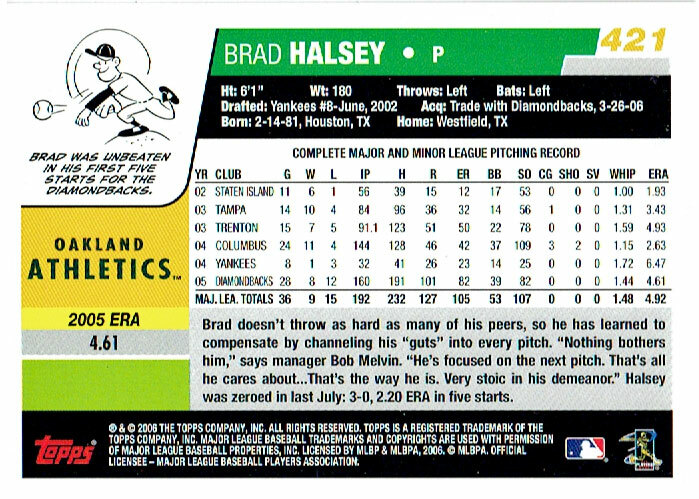 Halsey was also the pitcher who surrendered Barry Bonds 714th career home run in 2006, which tied the San Francisco Giants’ slugger with Babe Ruth‘s career mark. 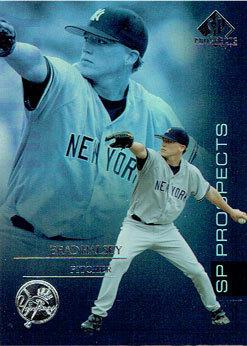 Halsey pitched in 88 major league games for the Yankees, the Arizona Diamondbacks and the Oakland Athletics between 2004 and 2006. His career record was 14-19 with a 4.84 ERA. 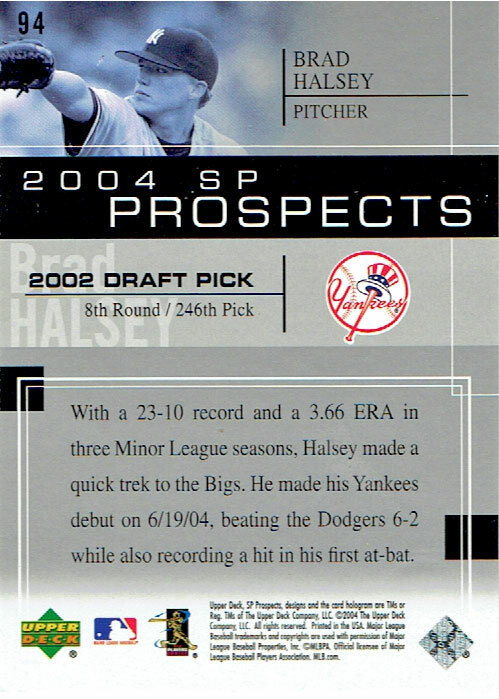 While Halsey appeared on over 200 different baseball cards, I only have two in my collection: one from Upper Deck SP Prospects from 2004 and one from the Topps flagship set in 2006.